Kohlrabi plants growing in a garden. 3 Can You Eat Celery Root Without Cooking It? Kohlrabi, a member of the turnip family, has been a popular vegetable in Europe since the 16th century but didn't make its way into American kitchens until the 19th century, and is still unfamiliar to many home cooks. The globe-shaped stem of the plant is the part that's generally eaten, though the leaves can be used in salads. Kohlrabi comes in several different colors: The purple kohlrabi is generally spicier than the white or light green kohlrabi, which is sweeter. Half a cup of cooked kohlrabi contains 24 calories. A 1/2-cup serving of kohlrabi has 1.5g of protein. Kohlrabi contains no fat or cholesterol. 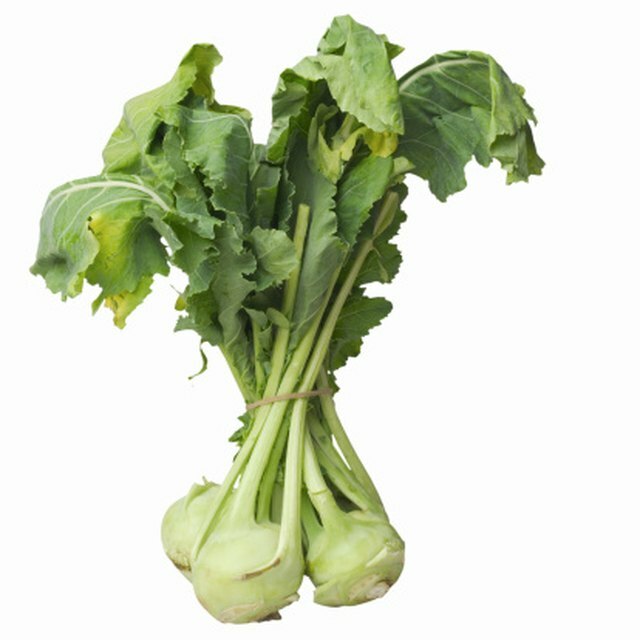 A 1/2 cup of kohlrabi has 17mg of sodium, 1g of dietary fiber and 44mg of vitamin C.
Because kohlrabi is low in calories and contains no fat or cholesterol, it's a heart-healthy addition to your diet. It's also a low-sodium choice when prepared with no added salt. Kohlrabi is a good source of vitamin C since 1/2 cup of kohlrabi gives you about 70 percent of the daily recommended amount of vitamin C.
Kohlrabi contains phytochemicals called isothiocyanates, which may have protective benefits against certain kinds of cancer, according to the University of Maryland Medical Center. Isothiocyanates help with the conversion of estrogen in the body and may also create a barrier against the hormones that are associated with breast and prostate cancers. For maximum nutritional benefits, choose kohlrabi that are 3 inches or smaller in diameter. Leaves should be whole, and stems should be tender. Smaller kohlrabi tend to be more tender and flavorful than larger ones, according to the Iowa State University Extension. 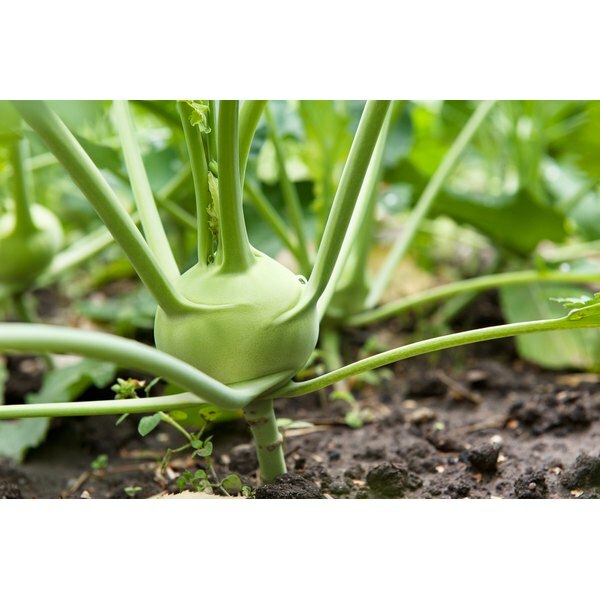 Because kohlrabi has nutritional benefits whether it's eaten raw or cooked, the Iowa State University Extension recommends cutting it into thin strips and serving it raw in a salad, or braising or roasting it until tender.